For those looking to keep costs down, we blend up an essential light and fluffy media composed of Compost, Peat, and Perlite. Any other inputs or amendments can be added at home, top dressed or watered-in. It's a perfect start to your horticultural program. 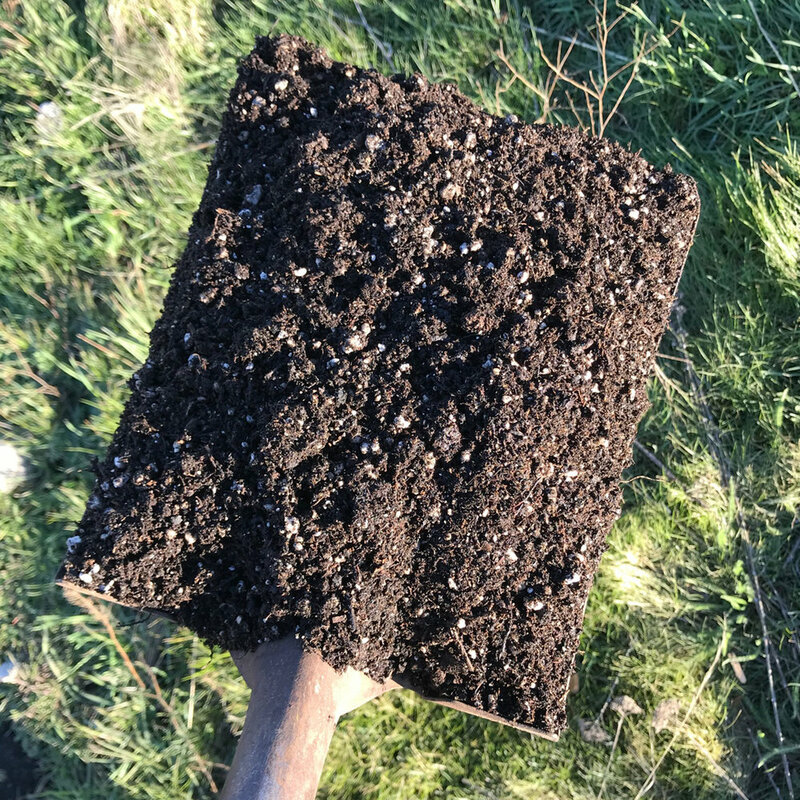 Designed to be light, fluffy, and ready-to-go, Dirt Hugger Potting Mix contains a special blend of our Organic Compost, Peat, Perlite, Blood Meal, Colloidal Phosphate, and Kelp Meal. A tested and proven proprietary potting soil, Sky Puncher offers the perfect environment for root development with a base made up of Organic Compost, Peat, and Perlite. Optimized nutrition levels are achieved from a careful blend of organic amendments. If there is one soil to fill your growing container with, this is it. When your depleted soil needs a little boost, mix in some Re-Up, a pre-blended amendment pack, built to rejuvenate your soil for another year of growing.